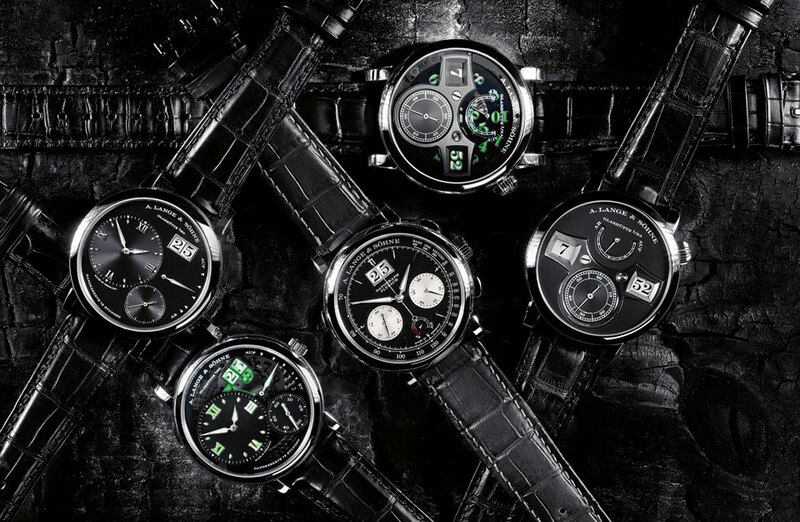 Starts of our Weekly Watch Photo are (from left): Grand Lange 1 in white gold with black dial (introduced at the SIHH 2013), Grand Lange 1 “Lumen” (also introduced late last year), the magnificent Datograph up/down (that was introduced in 2012), Lange Zeitwerk “Luminous” and the ‘normal’ Lange Zeitwerk (although there is nothing normal about the Zeitwerk). 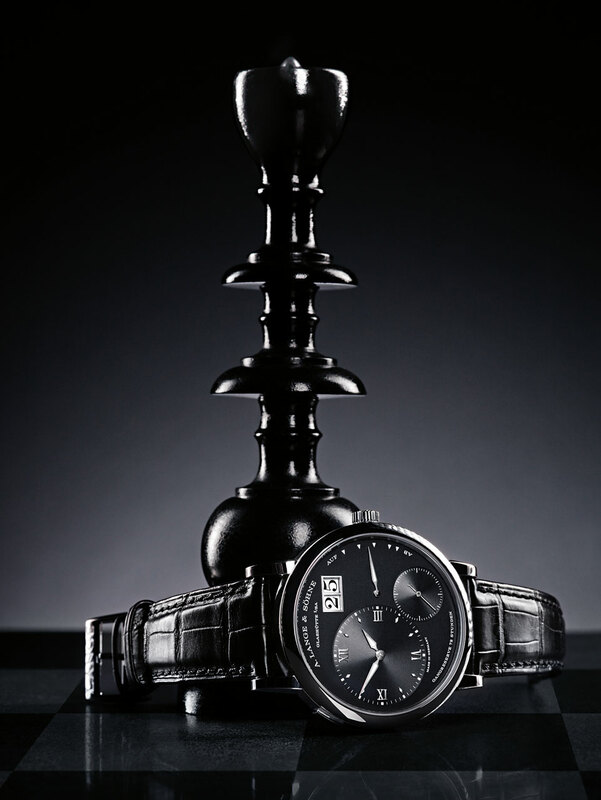 Let’s have a look at A. Lange & Söhne’s mix & match. First one of my personal favorites… the new Datograph. 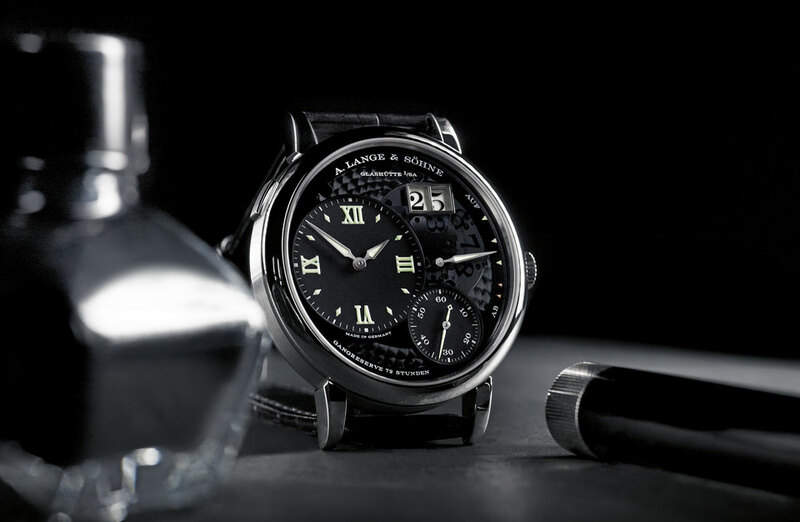 The Datograph is one of Lange’s classics. 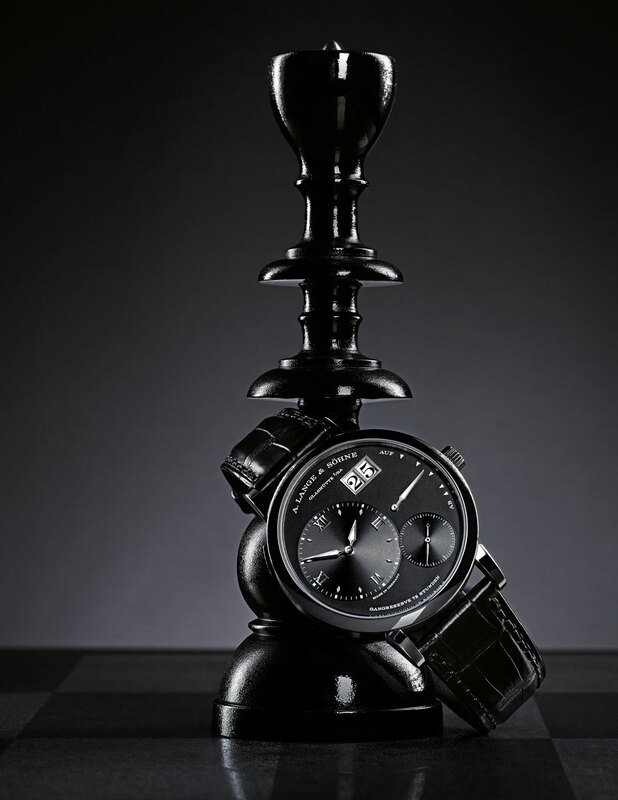 Despite the company didn’t launch their new collection until 1992, after the ‘iron curtain‘ was gone and A. Lange & Söhne made a new start, they have created a vast number of timepiece that have become true classics. 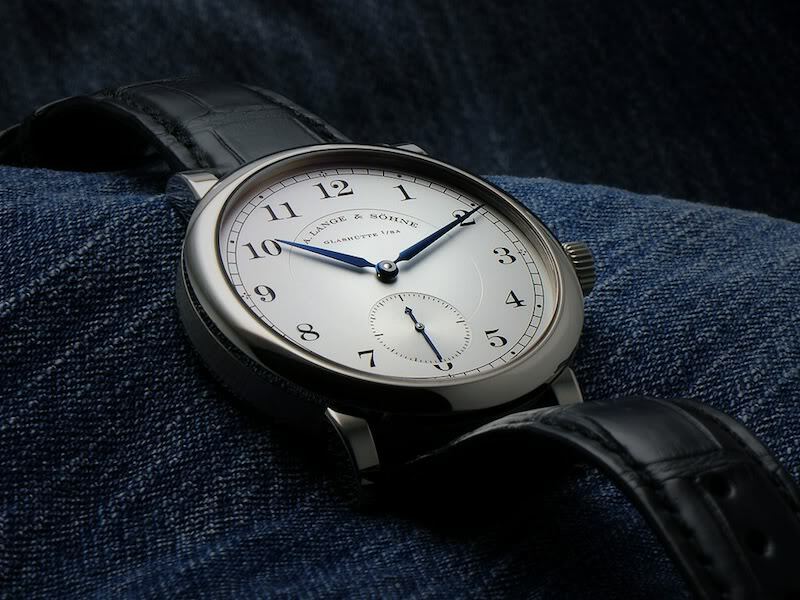 Of course the best known classic from the German manufacture is the Lange 1. 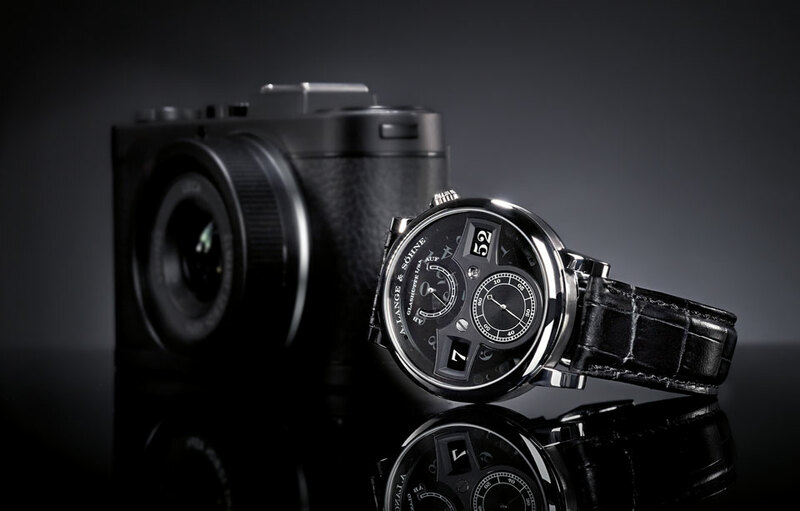 The Datograph is probably the second-best-known timepiece from the town of Glashütte in Saxony, Germany. 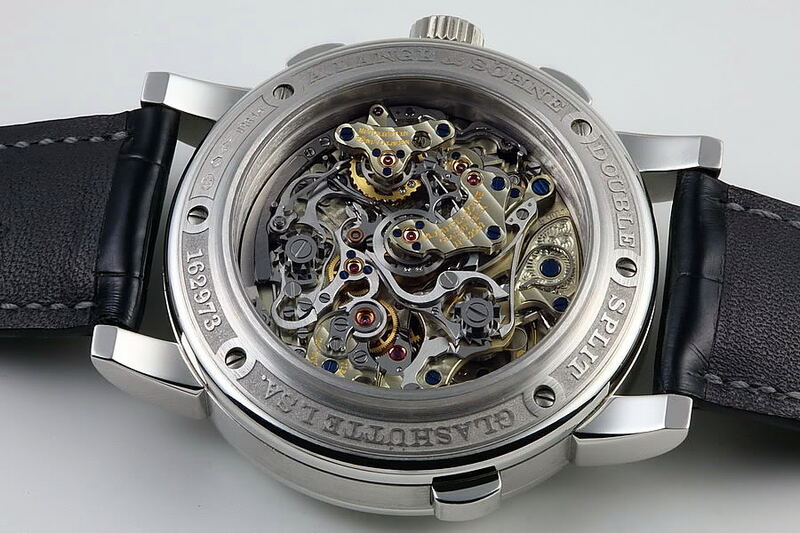 Its movement, calibre L951.6, ranks among connoisseurs as the technically most advanced and beautiful chronograph movement, only to be surpassed by Lange’s Double Split. 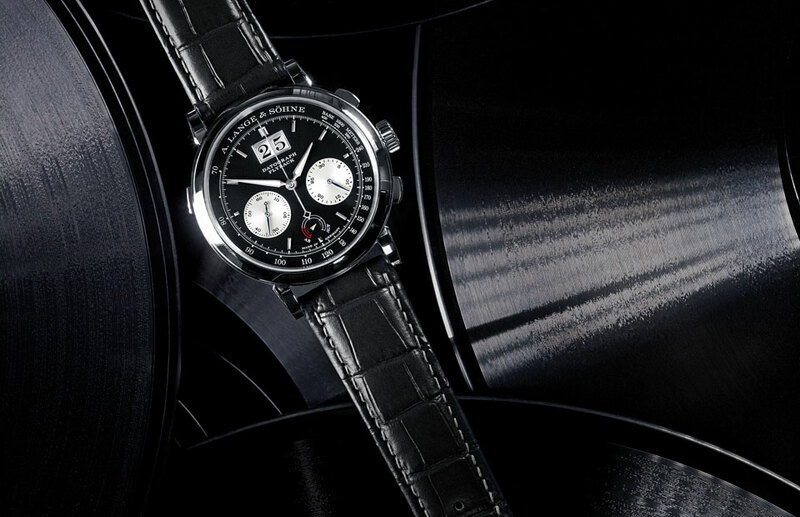 Next is a contemporary and maybe even sporty execution of the Grand Lange 1. It’s called the Grand Lange 1 “Lumen” and features an sapphire dial, or at least part of the dial is a sapphire disk that is coated. In our previous article about the Grand Lange 1 “Lumen” we explained about the technical challenges that Lange’s watchmakers faced when creating this stealthy version of their all-time classic. The platinum case, measuring 40.9 mm in diameter and just 9.8 mm in height, makes the Grand Lange 1 “Lumen” exactly 2.4 mm larger than the normal Lange 1, which measures 38.5 mm in diameter. And that is just one of the things that I like so much about Lange & Söhne, they keep their timepieces at perfect classic dimensions and don’t simply follow the big-bigger-biggest fashion that has struck the watch industry in the past 5-10 years. 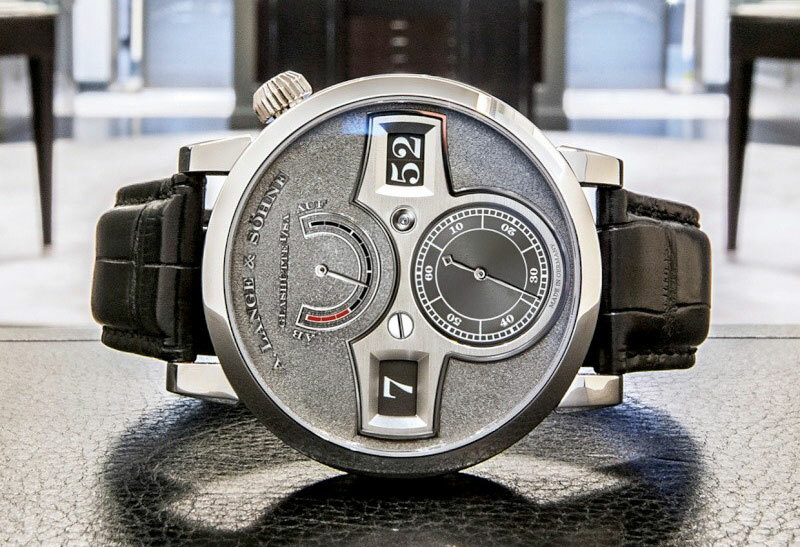 Of course now and then also A. Lange & Söhne have to stretch dimensions of a timepiece, but that only happens when there’s a true technical necessity for it. Take for instance the Zeitwerk. Due to the complicated mechanics that make both the hour and minute disks simultaneous jump, the case couldn’t be smaller than 41.9 in diameter and 12.6 mm in height. Compare that to the competition and you’ll find out that these dimensions are still extremely moderate. 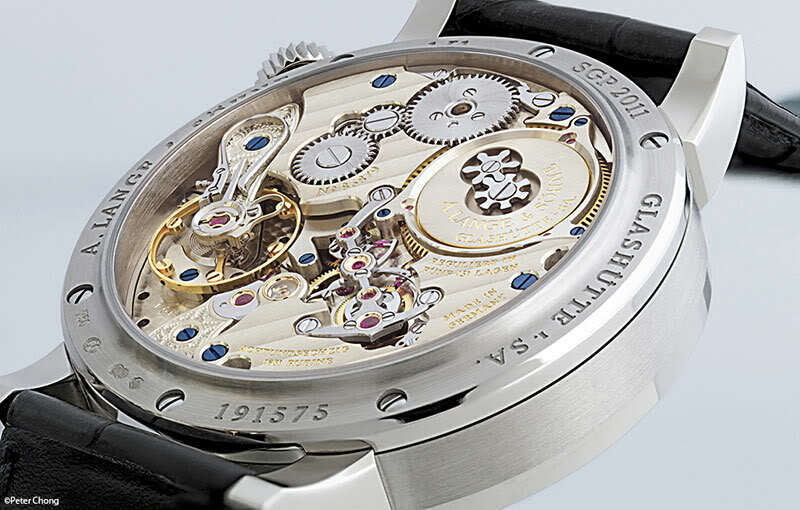 Below is the white gold version of the Lange Zeitwerk, which was introduced in 2009. 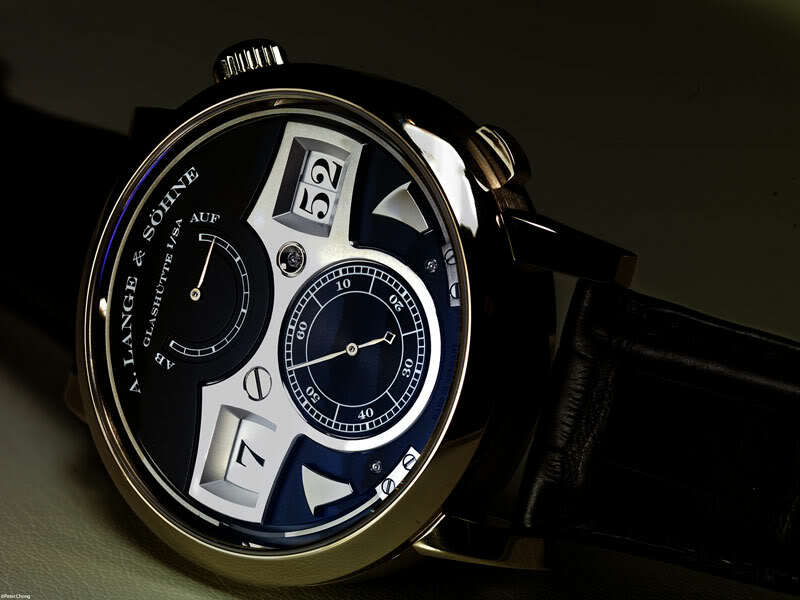 Below is the Lange Zeitwerk Luminous, which was introduced a year later, at the SIHH 2010. It also comes in a platinum case and was limited to just 100 pieces. Many collectors consider this to be the most desirable Zeitwerk, however with the introduction of the Zeitwerk Handwerkskunst we might have a new favorite. Two more photos of the Grand Lange 1 in white gold, which was introduced earlier this year. This larger version of the Lange 1 already existed in yellow and pink gold and platinum. 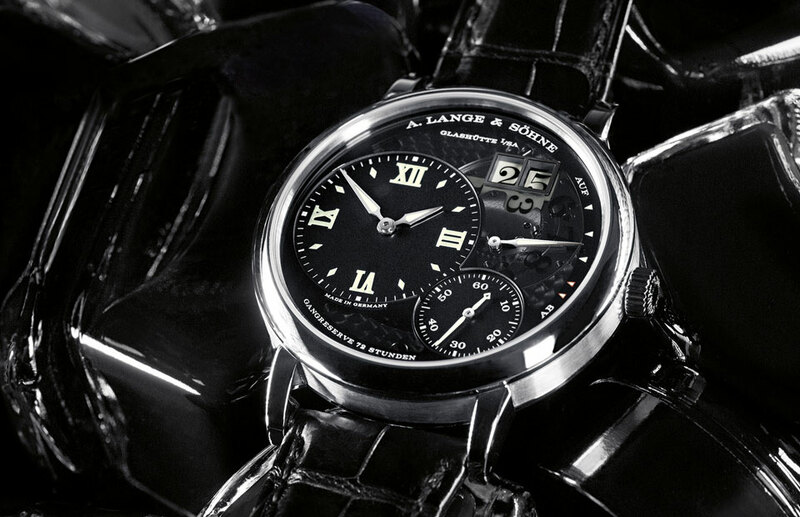 With the addition of the white gold version, this is the first Grand Lange 1 with a black dial. Checkmate! 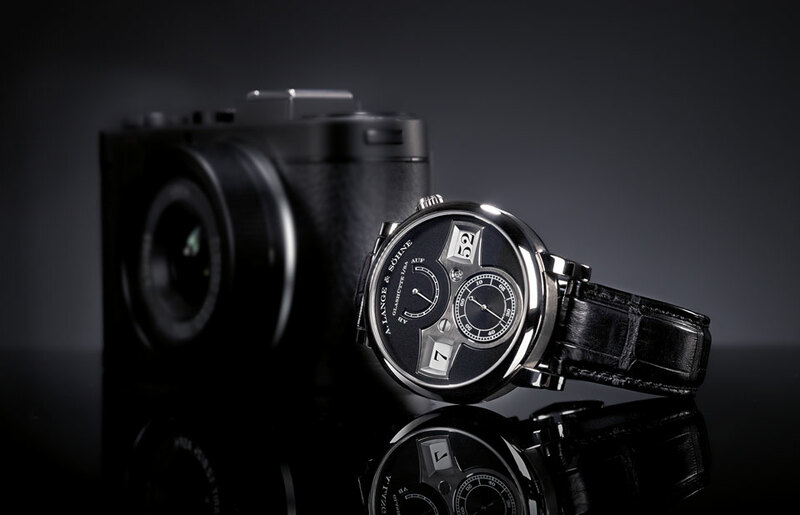 Please visit the A. Lange & Söhne website for more information and availability.